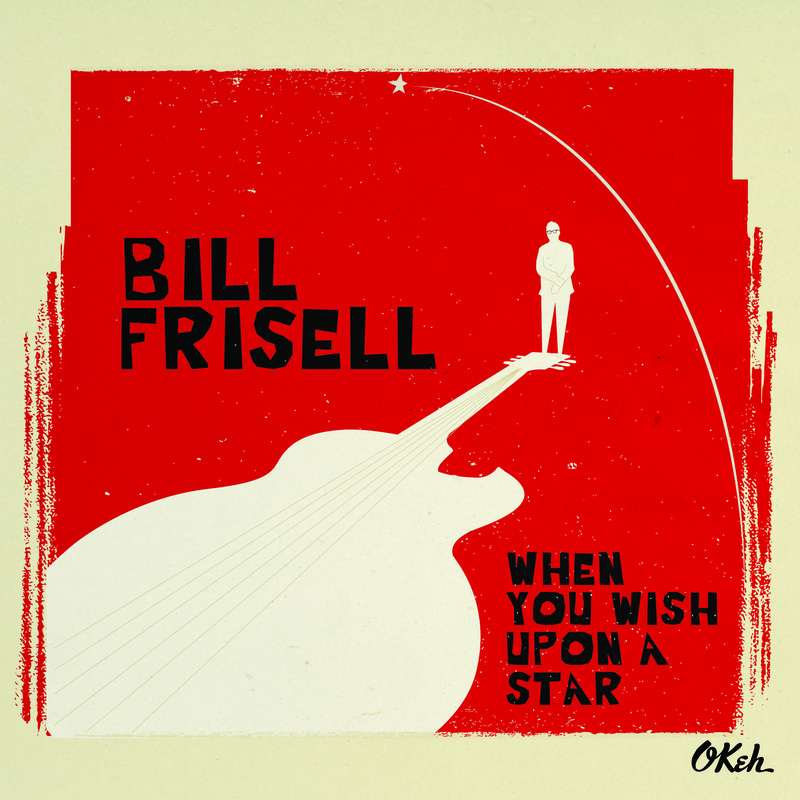 OKeh Records - Bill Frisell's new album 'When You Wish Upon a Star' out 5th February! It’s just two weeks and counting until the release of Bill Frisell’s latest album When You Wish Upon a Star, featuring arrangements and interpretations of classic TV and film music. The guitarist’s versatility is reflected in this beautiful remastering of time honoured gems, such as To Kill a Mockingbird, When You Wish Upon A Star, The Godfather and others. The band, who occasionally has performed the repertoire before going into the studio, features vocalist Petra Haden, with whom Bill already worked and recorded with in 2003. Her vocal style and her interpretations of these songs is a perfect fit to Bill’s arrangements. Available February 5th on iTunes, Spotify and Amazon. Fans in Germany can watch the video by clicking here. Please click here to visit Bill Frisell’s website.